Game wardens in Rhode Island work for the Department of Environmental Management and are known as environmental police officers. Rhode Island’s habitats range from forests to coastal ecosystems. These different types of resources are subject to a variety of natural resource crimes, and Rhode Island’s environmental police officers aggressively pursue all leads. The state has several notorious groups that poach deer. In addition, American eels sell for inflated prices on the black market due to the demand for them in Asia. Several federal agencies routinely deputize Rhode Island’s environmental police officers, including US Customs and Border Protection, the National Marine Fisheries Service, and the US Fish and Wildlife Service. In addition to their work as law enforcement officers, Rhode Island’s environmental police force also monitor wildlife to identify health risks, assess damage to habitats, and advocate for natural resource conservation. Men and women in Rhode Island who combine a love of the outdoors with practical expertise in law enforcement and criminal justice make the best candidates. The combination of enforcing regulations, monitoring wildlife and habitats, and engaging in public relations requires a diverse suite of skills. Each applicant must be prepared to showcase his or her skills and experience in each of these areas to be considered for an environmental police officer vacancy. 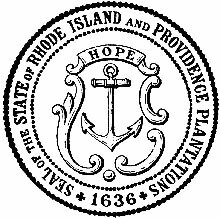 Additional information for applicants and employees can be found on the website of the Rhode Island Department of Environmental Management. License: A valid Rhode Island-issued driver’s license is required. Individuals must agree to participate in driver safety training through the state as opportunities arise. Academic Credentials: High school diploma or its equivalent; a bachelor’s degree in biology, natural resources, or a related discipline. Vision: Visual acuity correctable to 20/20 in each eye. Normal binocular color vision with a full field of periphery is required. Candidates who have undergone corrective eye surgery to meet minimum vision standards may be required to submit additional information.